In chapter five of Galatians, Paul writes to the church encouraging them if they walk in the Spirit, fleshly pleasures will not satisfy them but when we live by the Spirit we will produce the fruit of the Spirit. This fruit is what we should strive for in our daily lives through walking with the Lord and spending time in his Word. You can get this beautiful free printable from Sincerely Sara D. Be sure to check out her site! I struggle with all of these at one time or another, especially patience, gentleness, and self-control (just ask my family!). I can count on one hand the people I know who consistently show all the fruit in their daily lives. I recently lost one from my family. Last week we said good-bye to my Nanny Barb. She was my step dad’s mother who showed us what a Proverbs 31 wife looked like and someone who walked in step with the Lord. I met Nanny not long before my mom and step dad married 25 years ago. She welcomed me into her home and into her life. I remember one of my first conversations with her very vividly; I asked her what I should call her and she told me her granddaughter Autumn called her Nanny. I quickly informed her that “I already had a Nanny!” and she, without missing a beat, told me I could call her Nanny Barb. From that moment on, she showed me the first fruit without fail, love. She loved me as if I was a biological grandchild and never showed any favoritism toward any of her grandchildren. She loved her family with a passion and served them well. Joy emitted from her in the small things from watching nature outside her window to watching her family grow, joy was always evident on her face. Even after losing her husband, she always had a peace about her, her faith was in the Lord and even though she mourned the loss of her spouse, she always had peace knowing her husband was with the Lord and she would one day see him again. Patience was essential having me as a granddaughter. She never grew (visibly) impatient with me or anyone else in my presence. Through the patience, kindness and goodness flowed right alongside. She was honest but always in a kind way. 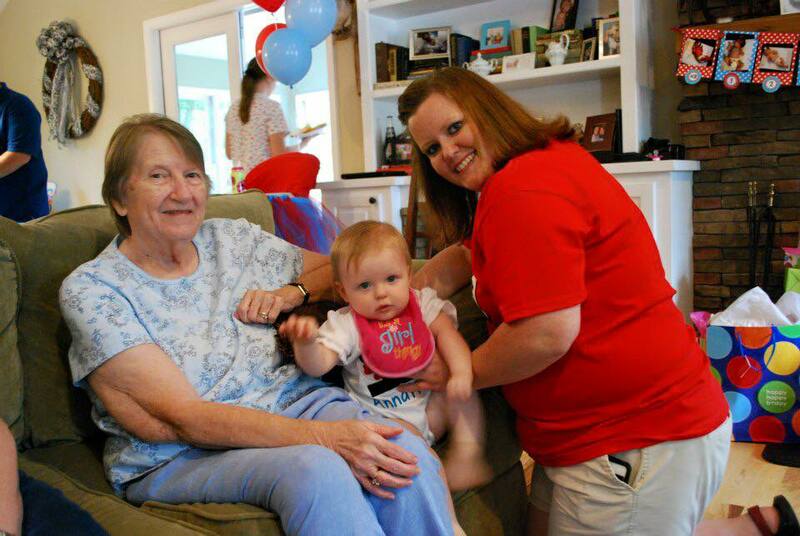 Nanny Barb was the epitome of a faithful follower of Jesus, wife, mother, and grandmother. She knew Jesus as a friend, she knew and followed his Word. Coming from the Cooper family, her gentleness surprised me. Coopers are a loud and noisy bunch; they show love much differently than the Garrens! Nanny Barb had the gentleness of the grandmother you read about in fairy tales. She had a self-control I am not sure I have ever experienced. I saw her angry a few times, mostly if something was going on with her family, but she never lashed out in anger. I pray that one day I can show all the Fruit of the Spirit consistently and walk in with the Lord like she did. I am thankful for having so many different kinds of grandparents who have influenced me in so many different ways such as being self-sufficient and a love of travel (Nanny Cooper), a need to understand the world around me and to always be a lifelong learner (Pawpaw Cooper), a love for my country and perseverance (Pawpaw Maxwell), how to laugh and take time to play games (Grandma Maxwell), and a love for the Braves and the value of a good nickname (Papaw Garren). 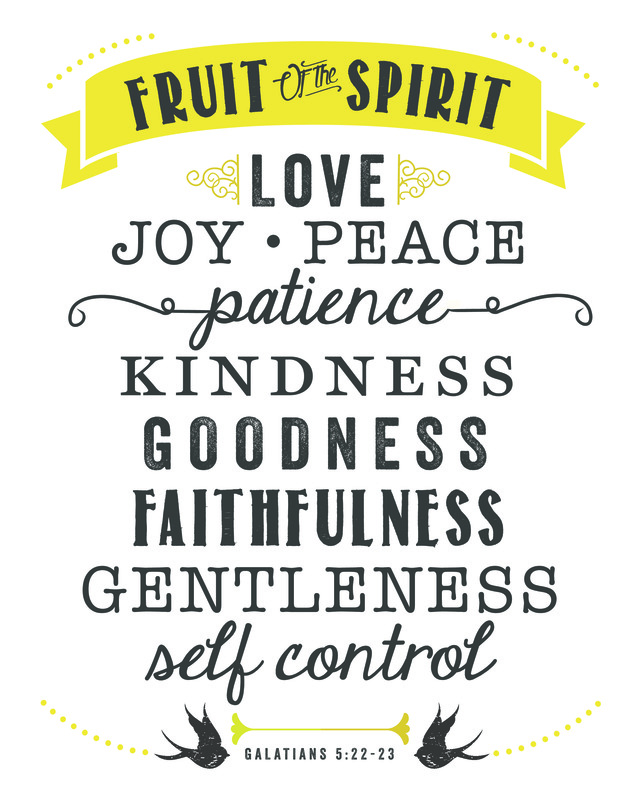 Who in your life has shown you the fruit of the Spirit? We love you and miss you very much! Thank you for being an example of a Godly woman! This is beautiful. Reading the description of each fruit in her life brought me to tears. She loved you so much. And I love how you included what you learned from each of your grandparents. I always get excited when I see you’ve posted a new blog post! Keep up the great work!